Your purchase of White Stole's SIGNATURE Couture Silk Bridal Wrap "MATCHING SETS" from the Valentino Collection will be delivered in Valentino Signature white envelopes. Your purchase of White Stole's SIGNATURE Couture Silk Bridal Wraps "MATCHING SETS" from the Leonard Paris Collection will be delivered in Leonard Paris Signature black envelopes. Your purchase of White Stole's "Gift" "Photo" or "Theme" Wraps from the White Stole Collection will be delivered in White Stole Signature pink or clear envelopes. 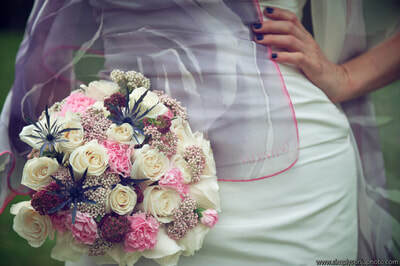 ​White Stole Signature Rental Hat Boxes appropriate to the Stole's sizing. All items will be shipped domestically at "No-Charge" within 3 business days from the receipt of payment via USPS or UPS. Delivery times are based on business days (Mon-Fri except Holidays). Expedited shipping is available at additional customer expense if required. A $10.00 Processing / Handling Fee applies. Which Carriers Does White Stole use, and will I be charged? Purchase Orders of "Couture Silk Stole, Shawl or Foulard" items are sent via USPS Priority or UPS 3rd Day Air at "No Charge" to the customer. Rental Orders are sent via UPS 3rd Day Air at "No Charge" to the customer. If expedited shipping options are required, those will be arranged at additional customer expense. We are glad to help you by combining shipping for multiple items. Just send a quick email to notify us of the items you would like to have combined prior to shipping to: roberta@whitestole.com. 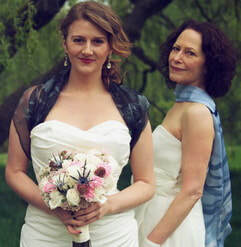 White Stole is currently shipping the Couture Silk Bridal Wrap Collection throughout the USA and Canada only. All Rental Stole shipments are exclusively available only to customers in the USA. White Stole accepts domestic orders via PayPal. No international payments are accepted outside of US and Canada. White Stole charges or alternatively pays sales tax on all orders which are mandated by the state in which you live. No international payments are accepted outside of US and Canada. Can I Pay and Pick Up in Person? Greater Seattle and Puget Sound Customers may pay directly via check, pick-up and return any Rental Stole from the Bridal Salon of your choice, or from the White Stole salon located at Dexter Avenue North, Seattle, WA. For more information please email: roberta@whitestole.com or call 206-854-9215. How Are Purchase Sale and Rental Prices Determined? New designer items are Guaranteed Authentic, and priced according to the specific brand’s Manufacturer's Retail Price. Rental prices of gently worn vintage items are determined to ensure that the price of item accurately reflects their value in the vintage marketplace. We do extensive research to find as many sales as possible of the same or very close to the same item. Our research helps us to come up with a price that is competitive with each item's "market value" to enable you to rent the vintage, or, in some cases the designer item, at a fraction of it’s original selling price. All sales include consultation. Requests for onsite assistance during day of event or photoshoot from White Stole Stylist are arranged at negotiated pricing. Please call to request stylist assistance. What are the Vintage Stole Rental Prices and Deposit Terms? All vintage Stoles are offered as Rental for a 3-day period. A $30.00 per-day charge beyond 3 days will be charged unless customer chooses a 5-day rental period. Rental prices vary, as noted. Deposit Fees in the event of repair or cleaning as a result of the rental are based on the Stole's rarity and cost of replacement. All deposits are due at time of rental reservation; monies are returned upon inspection of Stole at time of return. Rental Fees are also due and payable upon reservation of the rental Stole. Stoles are only reserved upon request. Shipping Charges "to" White Stole Customers are included in Rental Price. Return Shipping Charges on vintage items will be paid for by the customer as noted. Applicable Processing / Handling Fees are noted per item. All rentals include consultation or, where required, onsite assistance during day of event or photoshoot from White Stole Stylist complimentary. Please call to arrange and reserve your rental. 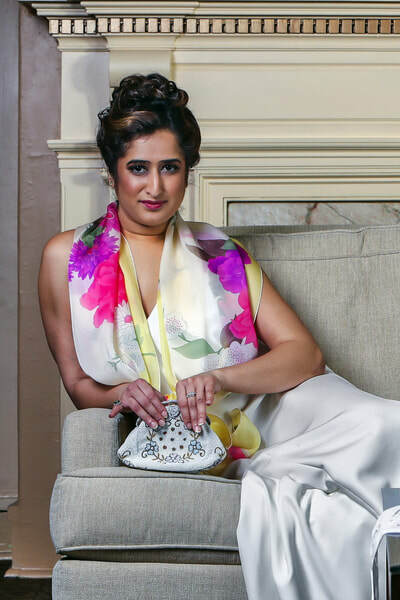 Please note: The term "Couture Silk Bridal Wrap" is often used interchangeably throughout the website with the term "Couture Bridal Stole" in all cases due to the fact that this style of garment is commonly referred to as a "Wrap" in the mind of the American customer. The actual Italian name for a garment of this style is "Stole" - whether it is constructed in silk, satin, cashmere or natural fur. White Stole promotions on Silk Stole, Shawl and Foulard Wraps are based upon "Style Type, Price Point, and Availability." The Silk Stole promotion on "Signature Sets of 6 Stoles" entitled "Wrap 4 to 6 bridesmaids from one of our 'Signature' Couture Silk Bridal Wrap Collections, and White Stole Wraps You with Love....(meaning a % discount off the price of ONE STOLE, as stated per collection) runs on select collections based on season, and is designed to allow a bride and her attendants to purchase all 6 Heirloom Silk Stole designs from a particular couture collection at Manufacturer's Retail Price, and receive "ONE STOLE AT 50%, 40%, or 30% below Manufacturer's List Price, or, in some instances at NO-CHARGE, depending on promotion" from White Stole on the purchase of the ENTIRE SET of a particular Heirloom Silk Stole Collection (based on availability). All Custom Duty, Taxes and Shipping are included in the prices noted. Note: Multiple promotional offers may not be bundled nor added together. From time to time, White Stole may also choose to run promotions on select items from the Silk "Gift" Bridal Wrap Collection based on inventory requirements. Likewise, the Vintage Stole promotion of "Wrap 4 or more in your bridal party from our Vintage Rental Collection, and White Stole wraps You with Love....(meaning at "NO-CHARGE") allows a bride and her attendants to rent a minimum of 4 Vintage Stoles from the vintage collection, in which case White Stole will allow a bride to choose any Vintage Stole from our Rental Collection for her use at "NO-CHARGE" with the rental of 4 or more Stoles for her Bridal Party. Note: All shipping charges on Vintage Rental Stoles "to" you and your Bridal Party are included in the price listed. Items may be returned for a full refund within 3 days of receipt of goods, minus the costs of shipping and handling, for all unworn, unused merchandise accompanied by the original purchase tags and receipt. All items postmarked after the 3rd day the item was received are FINAL SALE. All Promotional Sale merchandise purchased with a discount are considered FINAL SALE. Your refund will be returned within 3 business days. In order to avoid unnecessary returns, please read the description, ask questions and view the photos carefully prior to your purchase. Please note that the majority of the pieces featured on the White Stole website are "new" unless stated as "vintage, gently worn." ​White Stole guarantees designer Brand Authenticity on all new merchandise. Please feel free to ask any questions regarding size, fit, style, condition or quality of production prior to your order. Will I be Charged Return Shipping? Return "Pre-Paid Customer Return" Shipping Charges on "Vintage Rental Stole" items sent "Back To White Stole" are paid for by the customer. (Please Note: The average Coast-to-Coast UPS Air Return Shipping Rate per Vintage Stole will vary based on your actual location. Applicable Shipping / Processing / Handling Fees are noted per vintage item). 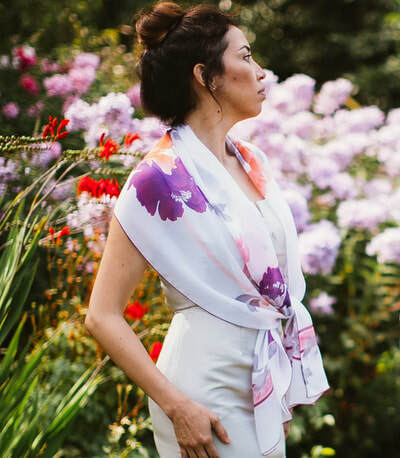 Return Shipping Charges on "New Silk Stole, Shawl or Foulard" items received within 3 days from date of purchase will be paid for by White Stole, and customer will receive an "Online Return Form" and a "Pre-Paid Return Label" for customer expedience. Return Shipping Charges on "New Silk Stole, Shawl or Foulard" items received after 3 days from date of purchase are paid for by the customer. No International orders outside of U.S or Canada are accepted. Our customer service team can be reached at 206-854-9215 or via email at roberta@whitestole.com or via our Contact page on our website. Please allow up to 24 hours for response. Where do I submit returns? 70 cm = 27.56 in. 70 cm x 200 cm = 27.56 in. x 78.74 in. 140cm x 140cm = 55.12in. x 55.12 in.